The profitability of Chinese baijiu makers recovered last year, according to a report published by the World Alcoholic Beverage Alliance on Monday. Guiyang topped the list of best-performing cities in China,according to an economic study released by the Milken Institute on Monday. Cameras constantly clicked to capture the contrast between the glowing red stars hanging on the bridge on the attractive Chishui River and high-rise buildings at various stages of completion in Moutai, a town filled with fragrance of liquor in Southwest China's Guizhou province. 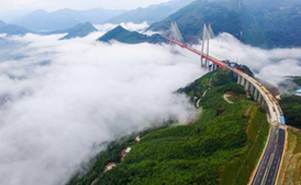 Work to connect the main part of a bridge, nearly 570 meters above a valley, was wrapped up on Saturday in Southwest China's Guizhou Province. Chinese liquor producer Kweichow Moutai Group said Friday that its net profit in the January-August period rose 6.7 percent year on year to 16.4 billion yuan ($2.5 billion). 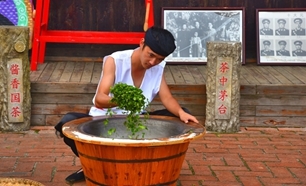 Guizhou has a rich distilling tradition and its gains run contrary to the national trend of slowing sales. 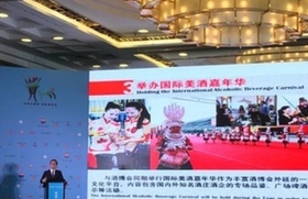 Lu Yongzheng, vice-governor of Guizhou, revealed that the expo will be held from Sept 9 to 12 in Guiyang. The exhibition area will cover an area of 90,000 square meters, an increase of 30 percent on last year. 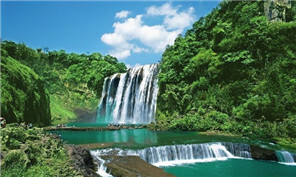 Air Macau will open the first direct flight between Macau and Guiyang on Sept 23.